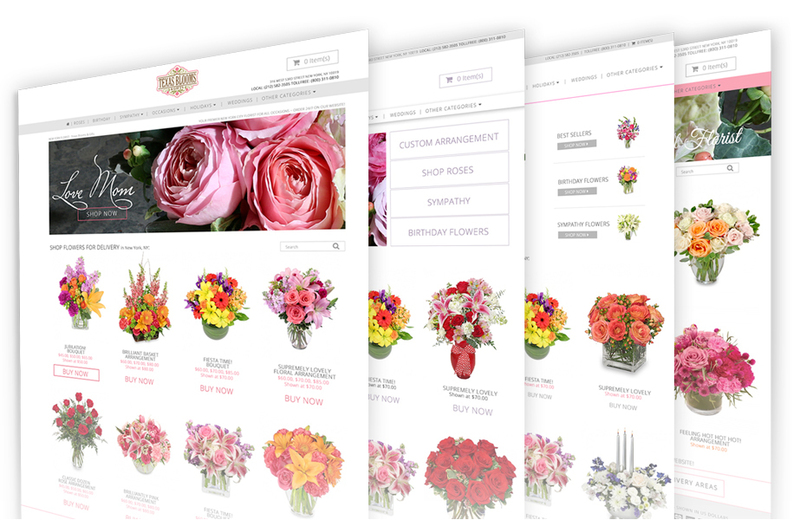 Feature-rich and packed with arrangement images, our florist websites are ready for sales. We put your business on the map. With a listing in your resident city and other delivery areas, consumers can find you with confidence. Receive orders via text, phone and fax. Send with solid coverage and no monthly fees. We know it can be difficult to manage your floral business — there's simply not enough time in the day! At FSN, we've made receiving orders from your customers easier than ever. And, thanks to our easy-to-use websites, we give you access to all the tools and resources you need to compete in today’s market. Still not convinced? Keep reading below to see all the great benefits we have to offer! What do our members love most? Now with more new layouts, Flower Shop Network has the look you want for your brand and extra features, like urgency banners that encourage orders. All FSN websites are mobile-ready for ordering on-the-go. The decision to choose FSN to host our website was among one of the best choices we made. I cannot recommend a better support team than the FSN team, and for that I say, THANK YOU! — Steve Cone, Endless Creations Flowers and Gifts, Culpeper, VA.
Join a network of over 6,500 local florists all across the US, Canada, Puerto Rico, Mexico and more. No monthly fees — send with solid coverage. Receive all orders for free. Excellent customer service. Exclusive access to member marketing tools, business guides, floral recipes and more! Get paid weekly. Choose your own sending rate. Stop paying to receive your orders!